This past week has been insane. Tonight will be the third big elaborate over the top dinner party I will have cooked with in a week and can I just say: It’s exhausting. Tho the minute I say that I have to wonder, maybe the wine drinking during those parties and the late nights and bad sleep that result don’t really help either. What’s a boy to do? I started a post about bringing and cooking a Heritage turkey that I will indeed post this week as Turkey is something that is cooked all year-long (even though this was my first Heritage bird ever and I think maybe only my 2nd Turkey every – someone I never was interested in cooking them…which is changing, but more on that later). 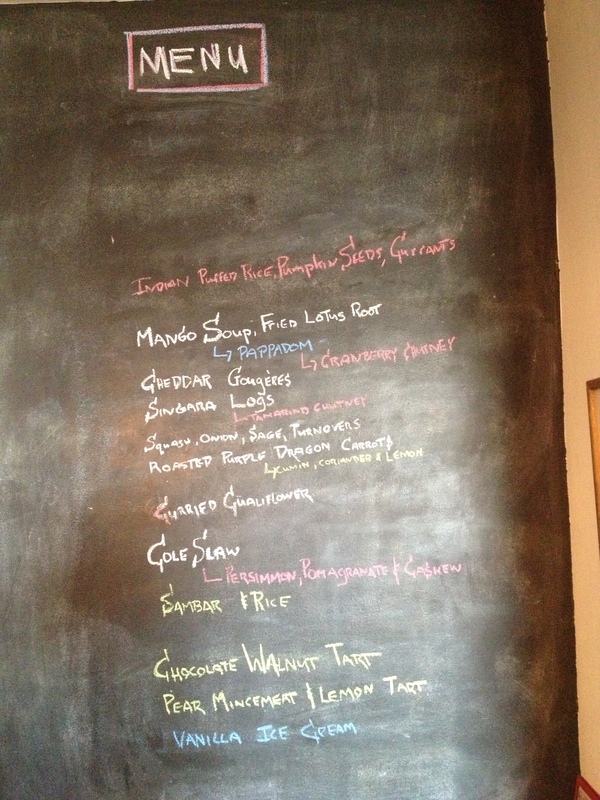 Above is the menu for tonight, after doing Thai Turkey on Sunday I thought it would be good to mix things up. Some of out company are coming from an afternoon feast and I’m sure they will appreciate a change from sweet potatoes, Turkey, stuffing and pumpkin pie. This entry was posted in NYC, Other Stuff and tagged Indian Food, Menu, thanksgiving. Bookmark the permalink. Happy thanksgiving! 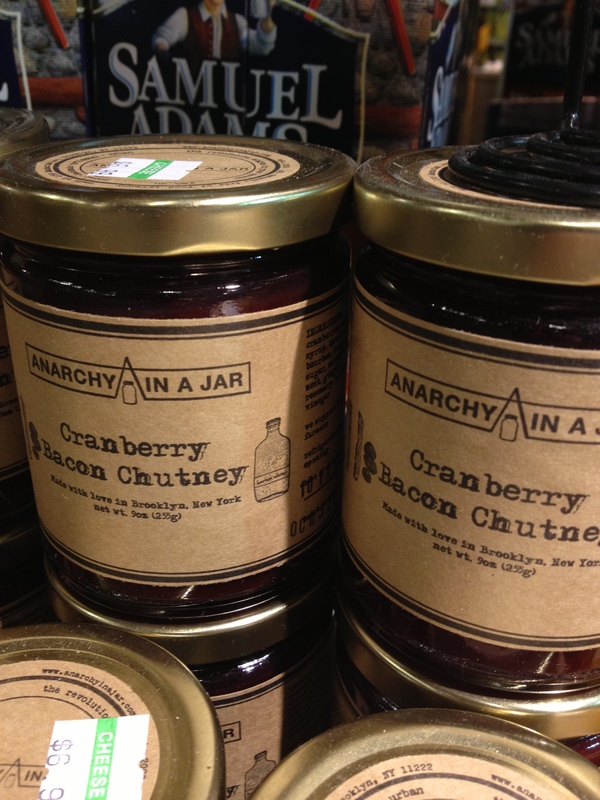 I can’t believe that there is a jar containing both bacon and cranberries out there in the world. Hope you recover from all that cooking — maybe time to get down with some leftovers? A smashing line up! Bet it was a memorable eve for all. Hey, how do you do your curry cauliflower? I over bought at the market Tuesday.